First in a series of Google search tips. Let’s say you’re using Google to search for something, and you know where on the web to look. 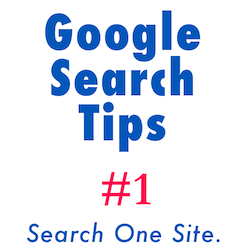 You can tell Google to search a specified site exclusively– often getting better results than if you went to the site and searched it yourself. 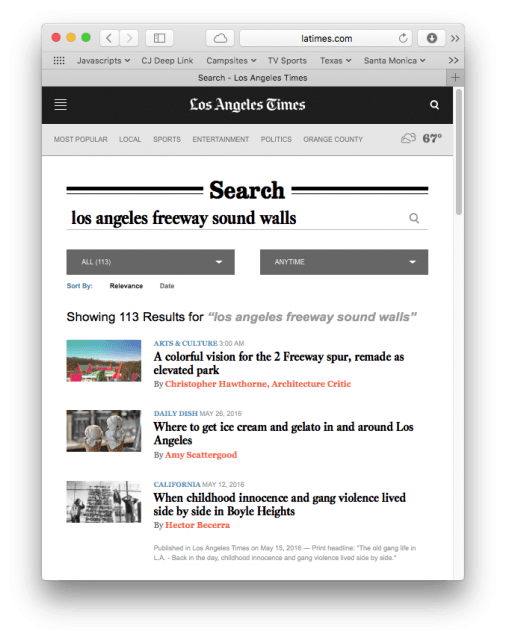 For example, let’s say you’re looking for an article about freeway sound walls in Los Angeles, and you only want articles published in the Los Angeles Times. You go to latimes.com and search, and you get 113 articles, none of which seem to be about sound walls. 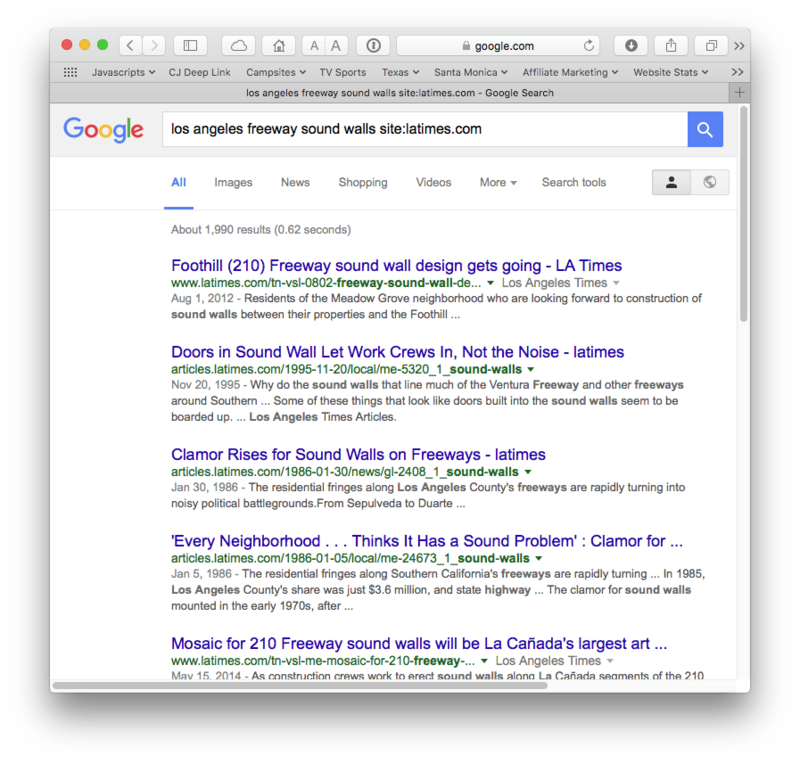 Seearching Google for “los angeles freeway sound walls” with “site:latimes.com” at the end gives you 1,990 articles, all at latimes.com. You’d think that latimes.com would be the best place to search for articles published at latimes.com, but obviously it just isn’t so. You have to do it right: first the word “site” and then a colon, and then no space, and then the domain you care about. No “http” and no “www.” Just the domain. Want to search Apple’s site? Put “site:apple.com” at the end of your search. Want to search christianboyce.com? Put “site:christianboyce.com” at the end of your search. You get it. Whether you’re looking for more Google search results, or fewer, the “site:” method is a nice thing to know about. Give it a try next time you don’t find what you’re looking for.